Looking for energetic individuals for our Entry Level Marketing and sales positions!!! Full-Time and internship opportunities!! Great opportunity for May Graduates and Internships.212 is hiring for marketing opportunities to represent large telecommunications brand. This position is ideal for someone who wants experience over the summer and/or the option of staying on full-time with the possibility for advancement. We are an energetic, passionate, competitive group looking to hire someone with similar ambitions. 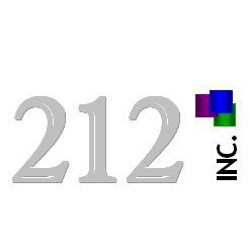 Public relations, human resources, business administration, business management, leadership, communications, entrepreneurship, advertising, military.If you are looking to start a career in marketing then 212 is the place for you. We pride ourselves in providing opportunity for growth, both financial and personal, to all of our employees. Compensation on pay for performance basis. No experience is necessary as we are willing to train all of our entry level candidates!